There are only two sports spread betting bookies in the UK (and therefore the world) that are any good. Spreadex and Sporting Index. Both are well established, regulated by the FCA and more importantly offer good welcome bonuses to new punters. You can use a form of matched betting to win a no risk bet by hedging your bets between the bookies when sports spread betting. Here’s how it works. Spreadex will offer you an iPad Air 2 and Sporting Index will offer you £100 in your account for free when you sign up. Step 3- Find a market to bet on. 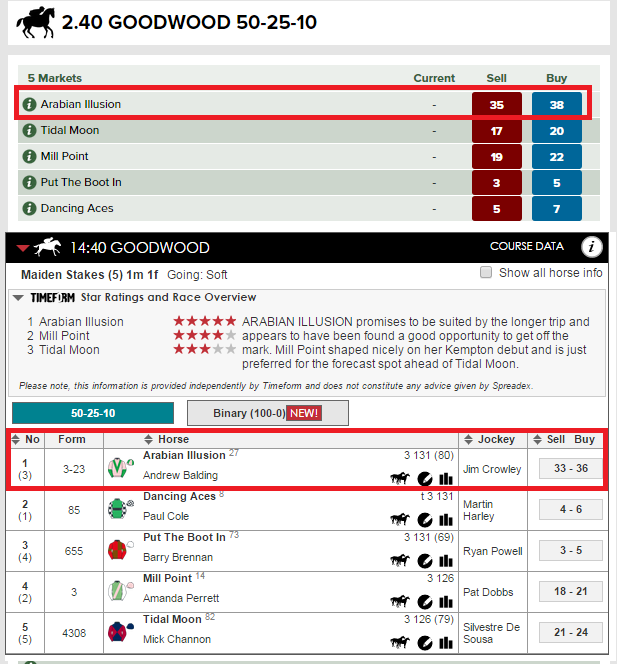 In this example we’ll look at a horse race at Goodwood. And place a bet on Arabian Illusion. You can see the prices offered by Spreadex versus Sporting Index in the image below. 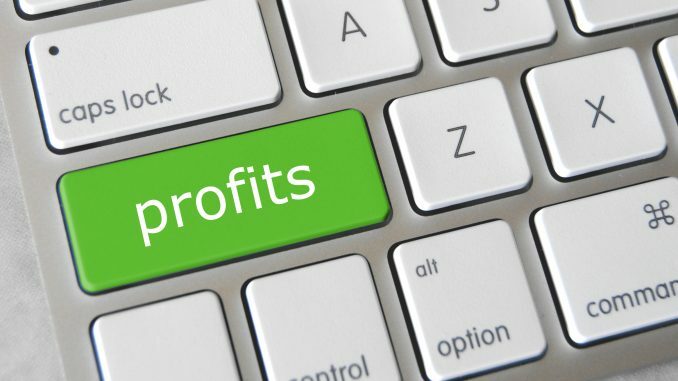 If you are not familiar with how spread betting on horses works, you are essentially buying a price and betting a certain amount for every point that price changes. When betting on horses the price settles at either 50 for a win, 25 for second or 10 for third. If you were to bet £10 per point on Arabian Illusion to win, you would be buying £10 per point with Spreadex at 36 or 38 with Sporting Index. In this case Sporting Index are slighting more optimistic on the win. 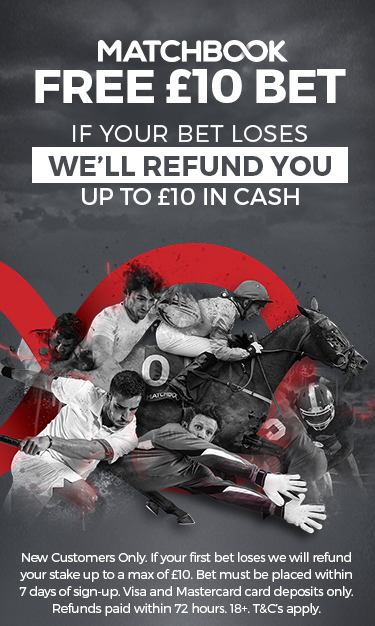 As Sporting Index are giving you the £100 free in your account it doesn’t matter if you lose it so you want to place your winning bets in Spreadex. Your max loss should be set at £100 so you need to calculate that into your stake. In this case If you buy with Spreadex at 36 at £2.5 per point and the horse lost you would lose 36*£2.50 = £90. But if the horse wins you gain (36-50)*£2.5 = £35. So to negate that loss, you would use your free £100 with Sporting Index to offset and hedge the bet and sell at 35. So if the horse wins, you gain £35 with Spreadex but lose £2.5*(35-50)=£62.50 with Sporting Index. But that doesn’t matter be cause the £62.50 you lost was bonus funds from Sporting Index. Then you withdraw your original £100 plus £35 winnings from Spreadex. So there are Pros – you can either lose £2.5 or make £35, not a great return. But, you can keep on trucking and keep on hedging your bets between Spreadex and Sporting Index until you blag yourself one of the free iPad Air 2s on offer once you place a certain amount of bets with Spreadex. Want the best odds when betting on football? Use a betting exchange.